There are so many new restaurants in the Mega Fashion Hall. Chelsea Kitchen is just one of them. It is located on the Ground Floor of the Mega Fashion Hall, very near the main entrance. My husband and I decided to try it out for lunch. We were informed that servings were usually good for two to three people so we decided to split our orders. We started with the CK Chicken Salad, which consisted of char-grilled Asian pesto chicken, peanut plum dressing, fresh basil, cilantro and mint, and Asian slaw. We were later told that the peanut plum dressing was not available, only the lemon vinaigrette. The vegetables were fresh and crisp. There was a fair amount of chicken mixed into it. The dressing was light and was served in a separate container. 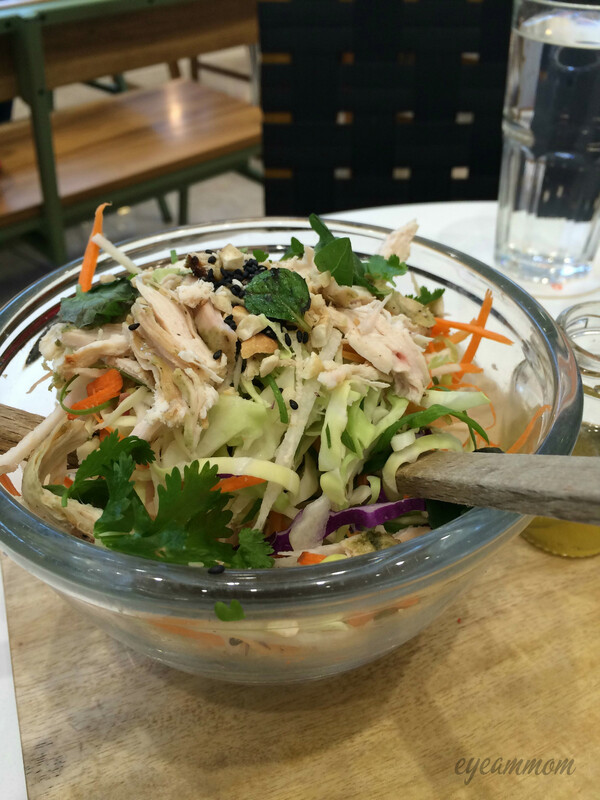 I prefer this method of serving as it enables you to adjust how much of the dressing you want on your salad. 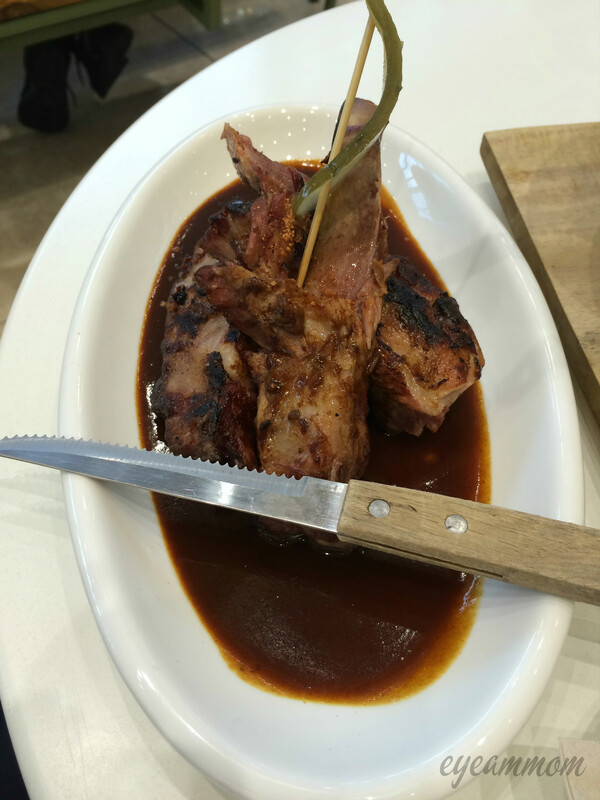 For our main course, we ordered the 4-Hour Cola Ribs. The ribs were tender and tasty. The sauce was flavorful and sweet. The serving size was enough for the two of us, but maybe not for two really hungry people. The dessert was my favorite part. They had a lot of dessert choices on the menu and still more on the cake display. We ordered the salted caramel artisanal cake. The cake was moist and soft. 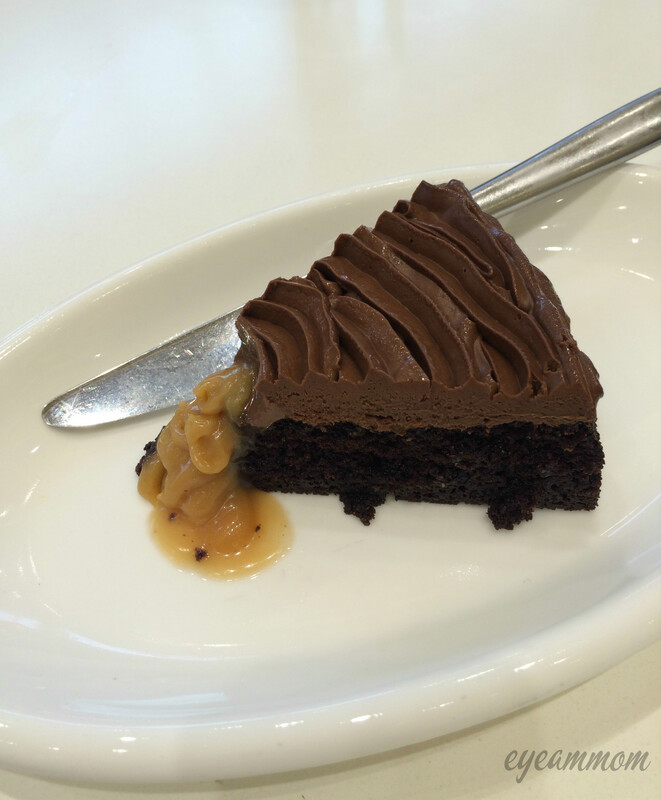 It is one of the best salted caramel cakes I have had! The sweetness was just right, not cloying at all. 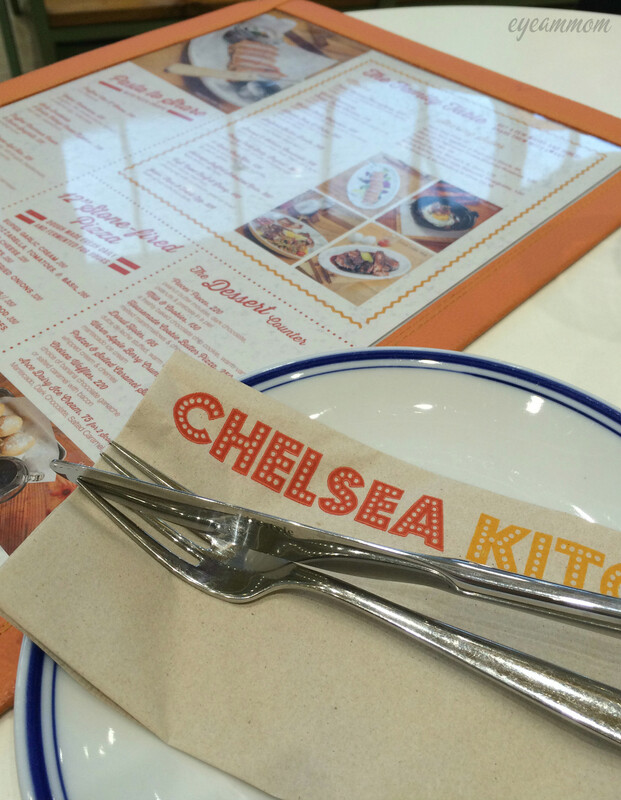 We enjoyed our meal at Chelsea Kitchen. Service was a little slow, considering that there were not too many diners at that time. But all in all, it was a pleasant experience for us. We made a note to come back, especially to try their other desserts. 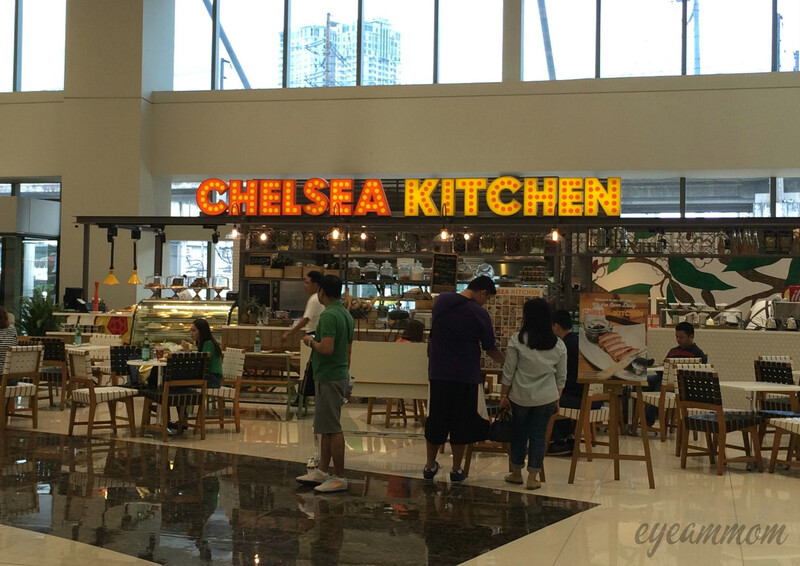 This entry was posted in Food, Life in the Metro and tagged Chelsea Kitchen, Food, Mega Fashion Hall, Megamall. Bookmark the permalink.